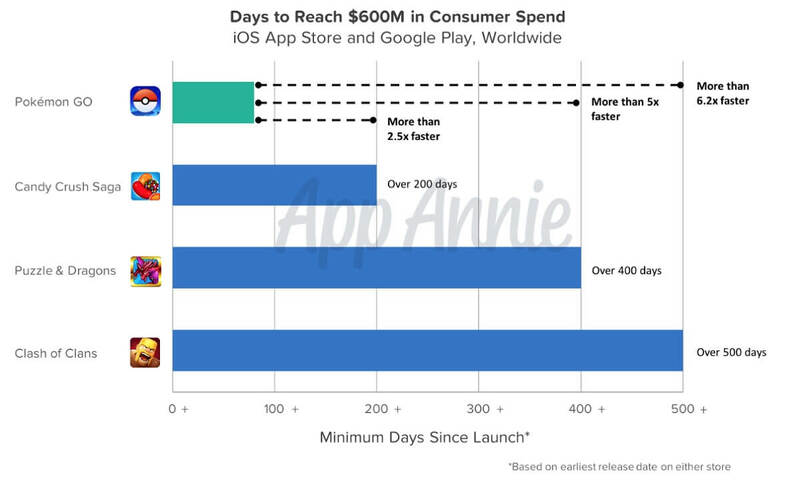 Data collected by market researcher App Annie indicates that Pokemon GO has become the fastest mobile game to reach $600 million in revenue. That was done between July and the end of September, or 90 days. To compare, Candy Crush Saga needed more than 200 days to hit $600 million. Puzzle & Dragons was next at 400 days, followed by Clash of Clans at more than 500 days. 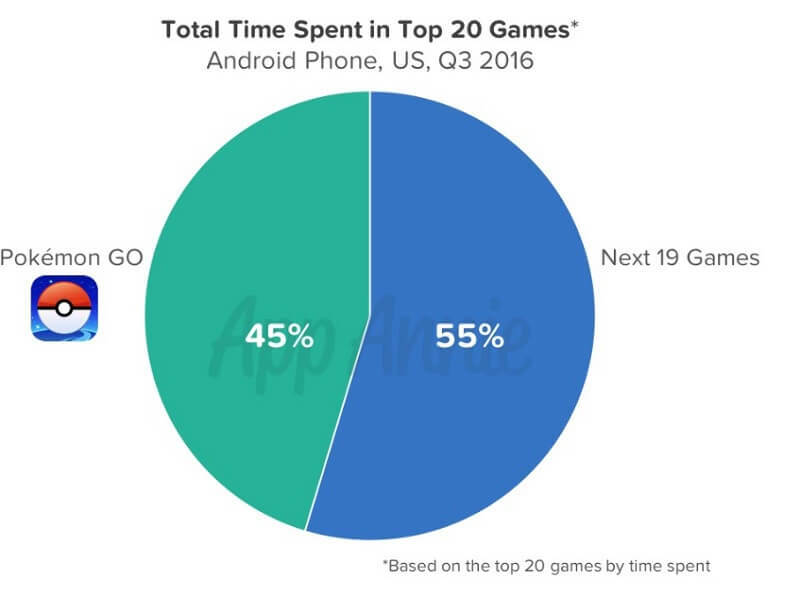 App Annie also reveals that the total time spent in Pokemon GO was almost as much as the next 19 games combined. Additionally, it comprised 45 percent of the time spent in Android games in the third quarter, as opposed to 55 percent for the next 19 titles. App Annie went on to praise Pokemon GO for managing to convert a ton of a player’s non-mobile time to mobile time. Instead of taking time away from other mobile apps, users were more inclined to spend more time overall on their devices. According to the Financial Times, Japan’s Financial Services Agency is considering the regulation of Pokemon GO’s PokeCoins. The in-game currency would be under the jurisdiction of the Payment Services Act if this were to happen. Niantic would also need to disclose the balance of unused in-game currency held by users in March and September every year. Assuming the total surpassed more than 10 million yen, the company would need deposit as much as 50 percent of the unused currency balance in yen in a Japanese bank account as security. 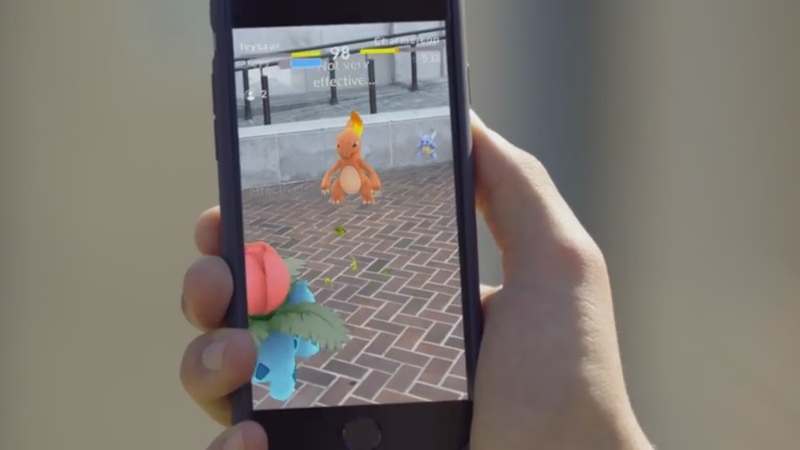 The Financial Times mentions that FSA and Niantic are talking about the situation currently. Analysts say the decision could impact other games in Japan involving purchasable in-game currency. Nintendo seems to be working on some sort of new Bluetooth accessory, judging my a new filing with the Federal Communications Commission. It looks fairly similar to the 3DS NFC accessory, but this is an entirely new device (CTR-013). It also supports Bluetooth whereas the 3DS device only has an IR port. 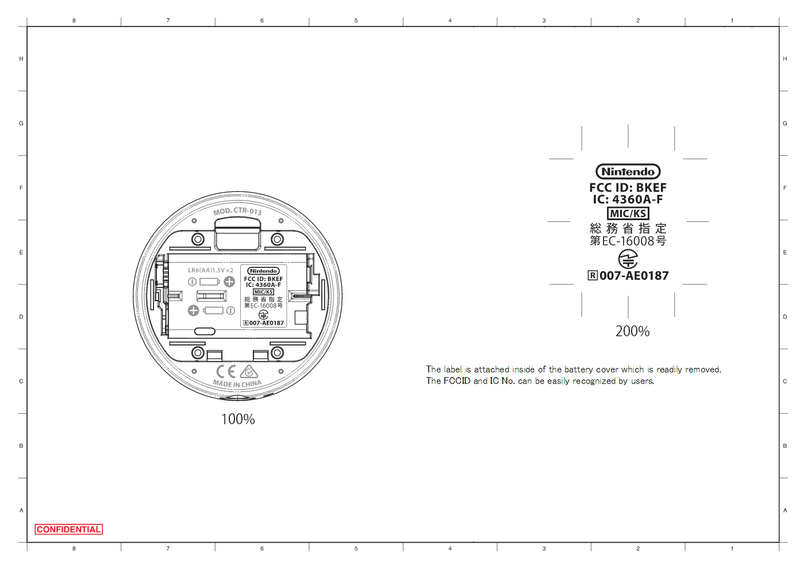 One very strong possibility is that Nintendo is preparing an NFC accessory which will work with smart devices (in addition to 3DS, as the CTR product number appears to be a part of the 3DS line). That would pave the wave for amiibo support on mobile. Of course, it’s only speculation for now. Miitomo has been updated with new content once again. Players can nab some new items in the latest Miitomo Drop stage, “The ghouls draw near… Halloween Horror #3”. Analyst and Kantan Games CEO Dr. Serkan Toto shared some interesting tweets about Super Mario Run as well as the reveal of NX a few minutes ago. Regarding Super Mario Run, DeNA is handling actual development – not Nintendo. DeNA is primarily in charge of the engineering and creation. However, the company isn’t designing or directing it. Nintendo watches over QA and is essentially the creative team. 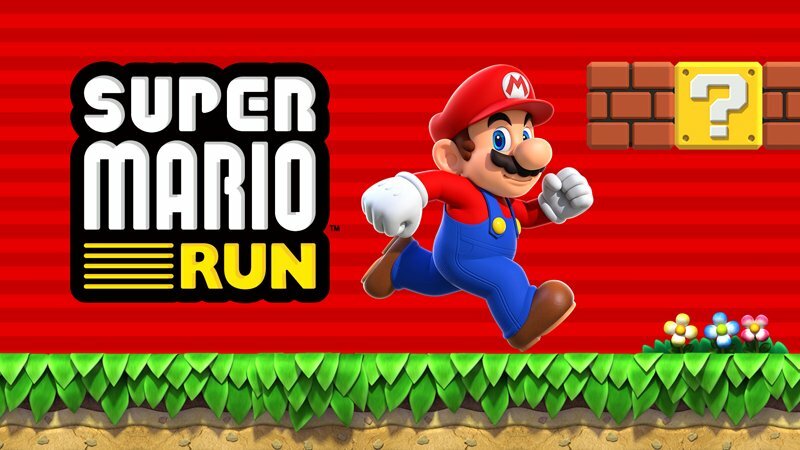 Shigeru Miyamoto is personally overseeing Super Mario Run’s progress as we know. To clarify further, Super Mario Run is being designed and directed by Nintendo in Kyoto while DeNA takes care of engineering in Tokyo. Toto has also heard that the NX will not be revealed this week, despite some rumors indicating otherwise. While that may (or may not) be true, it also seems that Nintendo will talk about its platform as part of its Q2 earnings next Wednesday – which certainly makes sense. Toto is more confidence in his source about Super Mario Run than NX. Pokemon GO now features some new functionality with the Pokemon GO Plus device. Those who search for Pokemon are now able to choose from different notification modes. Scanning for both PokeStops or Pokemon simultaneously is the default setting as always if you want to try to catch as many Pokemon and collect as many PokeBalls as you can. But as Niantic points out, you can also individually enable/disable each of these notifications based on your preference. Also, when walking with a Buddy Pokemon, you can choose not to receive notifications – instead by taking note of the distance of your walks. 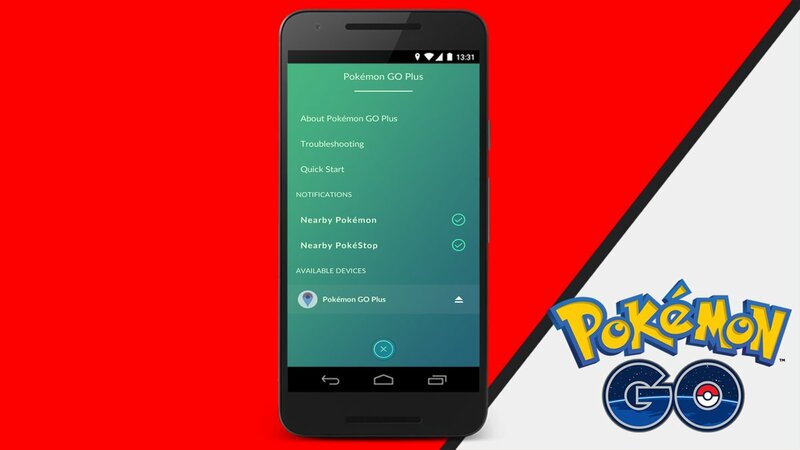 And last but not least, Pokemon GO Plus will remain paired with the main app if you choose to use it while interacting with Pokemon or Gyms. 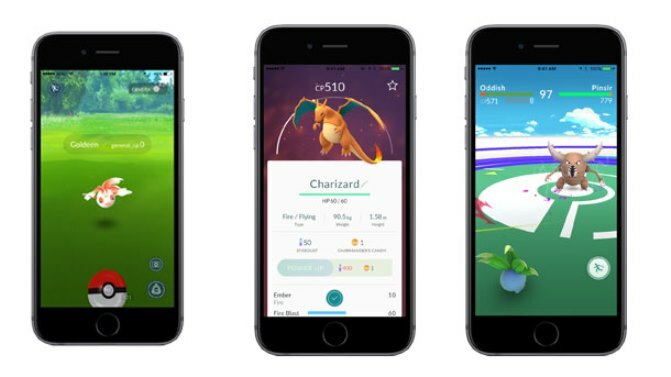 Pokemon GO players have come across a new change within the mobile app. It seems that, as of a couple of days ago, the “Sightings” nearby list turns off, and Pokemon do not spawn when going above a certain high speed. Forbes asked Niantic for a comment about the situation, but no response has been provided thus far. It’s currently unclear if this is a bug or an intended change. 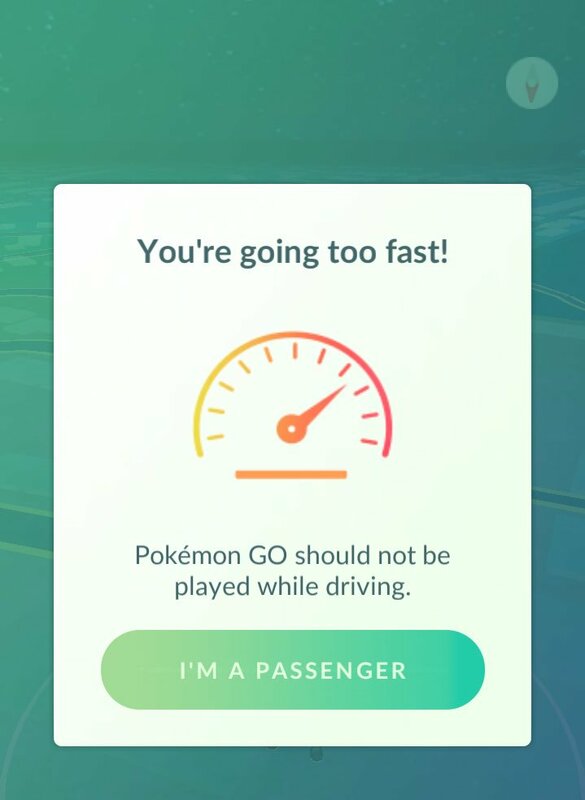 However, we do know that Niantic made it so Pokemon GO warns players about using the app while driving with an update released a few months ago. Miitomo has been updated with new content once again. Players can nab some new items in the latest Miitomo Drop stage, “The ghouls draw near… Halloween Horror #2”. Pokemon GO was just updated to version 1.11.2 on iOS and 0.41.2 on Android to introduce some features and more. Now Niantic is wrapping up another patch that should be going live very soon. As Niantic stated on its social media channels just a short while ago, the newest update implements some small fixes. It’ll be version 1.11.4 / 0.41.4. Nintendo appeared at Apple’s conference in September to announce Super Mario Run. The new mobile game will debut first on iOS in December. When the game was revealed, Apple put some special functionality on iTunes. 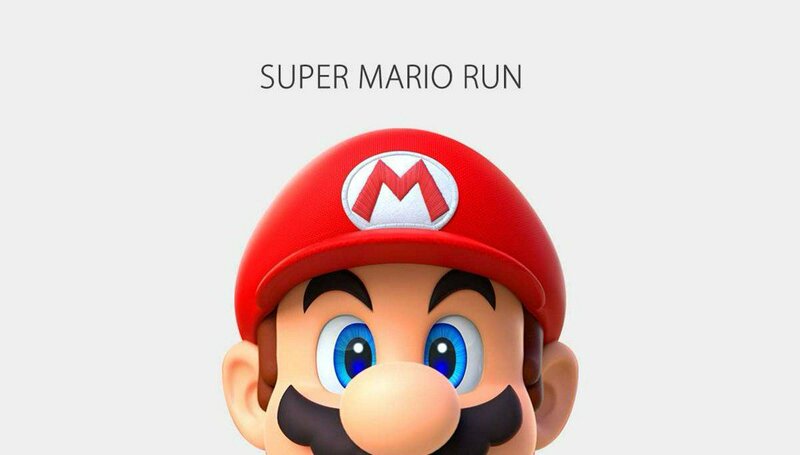 Users have been able to receive a notification when Super Mario Run is made available. According to Apple CEO Tim Cook, 20 million users have done this so far. We also have a couple of other random notes from Cook’s visit to Nintendo. The company said that he stopped by for an hour, and also met with president Tatsumi Kimishima.